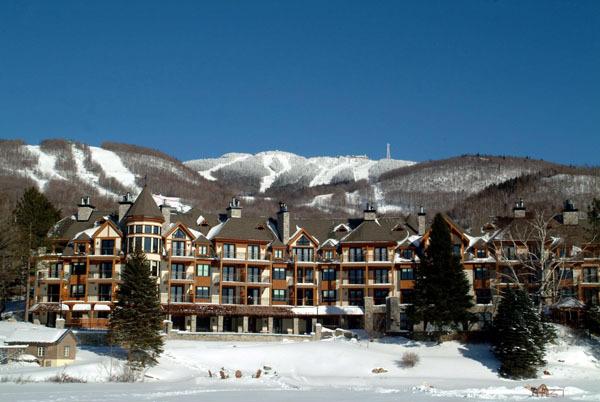 Eastern Canada’s answer to the Ski resorts of Stowe and Aspen is Mont-Tremblant in French-Canadian Quebec which brings a certain je ne sais Quoi to North American ski vacations. Consistently voted ‘Best ski resort in the East’ by Ski Canada Magazine, the region is a natural playground offering cross-country skiing on miles of trails winding along magnificent countryside, snow shoeing, dog sledding, tubing and horse-drawn sleigh rides to complete the “quintessential” winter experience. 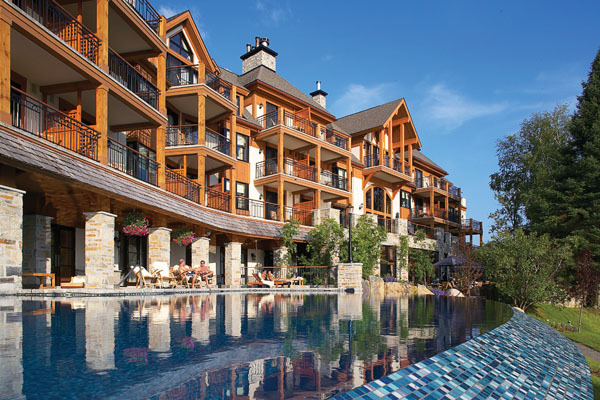 The two main luxury hotels are the Hôtel Quintessence and Fairmont Tremblant. The Fairmont Tremblant is a prime destination for outdoor adventures and offers an abundance of activities including alpine skiing, hiking, mountain biking, river rafting, snowmobiling, zip-lining and much more. Dine at La Forge Bar & Grill and enjoy their selection of cognacs, scotches and eaux-de-vie. Guests appreciate the convenience of their commodities, suitable for any type of stay: indoor and outdoor pools, jacuzzi, and Spa de Tremblant. Pools are heated and opened year round. Fairmont Tremblant hotel truly puts you in the middle of all the fun, from the lively street life of the pedestrian village to the Laurentian playground recognized as Quebec’s largest national park. The Quintessence is Tremblant’s premier 5-star boutique hotel, offering unparalleled beauty, comfort, luxury and service in the heart of the Laurentians. Inspired by old-world estates, Hôtel Quintessence is your exclusive waterfront retreat featuring 30 luxury suites on picturesque Lake Tremblant for a memorable vacation. The Restaurant La Quintessence offers, in a comfortable and cozy atmosphere, an unforgettable experience. Discover this destination, awarded ‘Best small hotel in northeastern America’ by Conde Nast Johansens and ‘Best luxury hotel’ by Trip Advisor with all the services that only a grand hotel can offer.